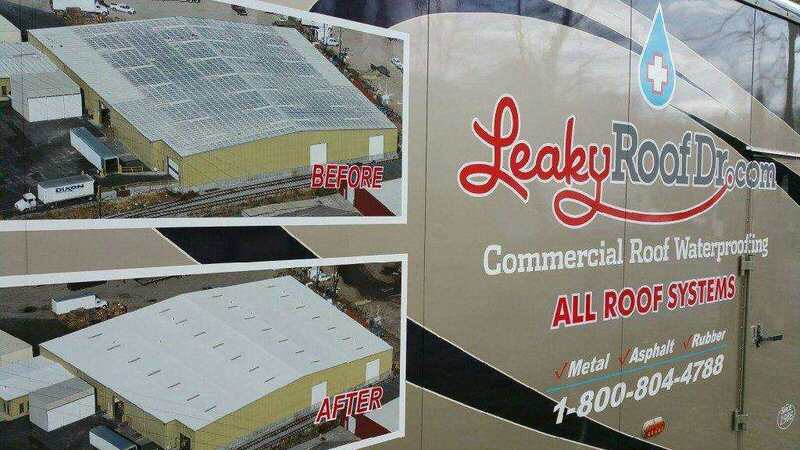 Metal Roof Repair - Leaky Roof Dr.
Every metal roof is heat conductive! Seasonal surface temperature changes cause metal roof seams to expand and then separate, eventually allowing water to migrate in. We apply self-adhesive reinforced butyl-rubber sealant to waterproof every horizontal and vertical metal seam on your roof surface, creating a flexible waterproof membrane, so the seams can cope with long term expansion / contraction surface movement. This stretchy and adhesive waterproofing product is so durable that it can not even be removed by sandblasting! Polyester reinforced fluid waterproofing is then applied to the butyl-rubber seam sealant and every exposed metal roof fastener. 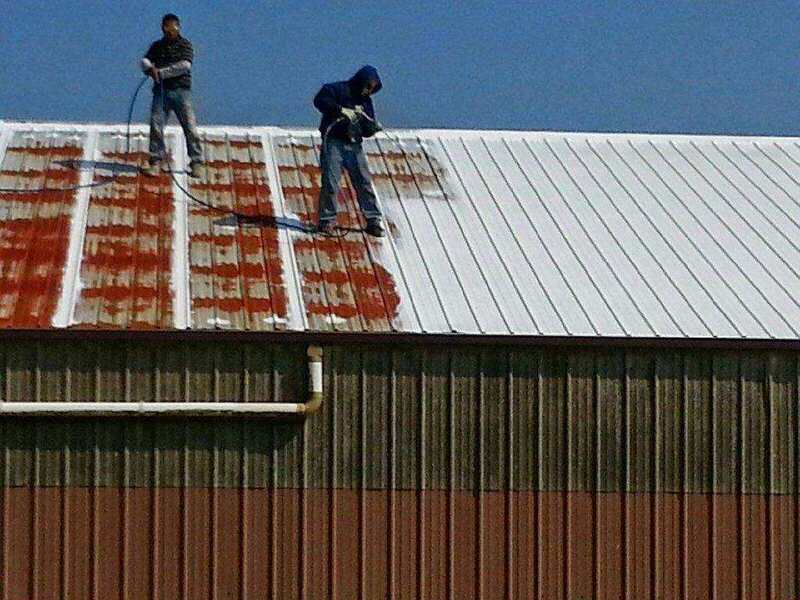 Of course, your metal roof must be clean and dry for this application. We apply white elastomeric coatings, or higher grade silicone coatings, to protect your metal roof waterproofing application, so your metal roof surface stays substantially cooler, reducing roof surface pressures. Keeping your roof cool is a great idea that keeps any roof preserved for many years! This is the last roof your commercial building will ever need. Your warranty is renewed by simply cleaning your roof surface and applying a fresh coat of the protective top coating!